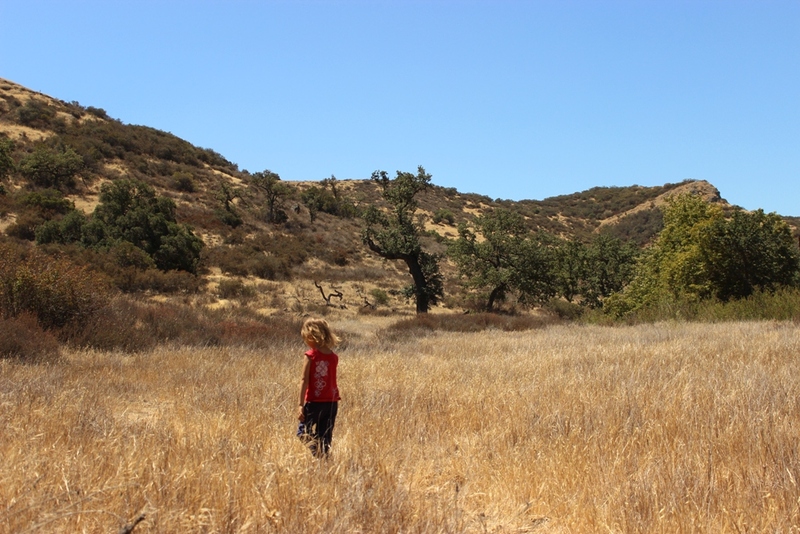 Little Ms. E and I ventured out for a short hike Wednesday morning to a pictograph site. This is the fifth Indian rock art site I’ve taken her to and it required the longest and most strenuous hike for her yet. I ended up carrying her on my shoulders, but we made it. It will be some time before she’s ready to visit the more remote backcountry sites, but as she gets older we’ve been extending the range of our outings a little at a time. The pictograph adorns the wall of a shallow, northwest facing alcove overlooking a small seasonal creek. There are no bedrock mortars. The outcrop sits along the top of a rolling hill of grass and chaparral near the mouth of a canyon and it offers expansive views of the surrounding countryside. This entry was posted in California and tagged Archaeology, Hiking, History, Indians, Native Americans, Photos, Pics, Pictographs, Rock Art. Bookmark the permalink. How great that you’re taking little miss E on these great outings! I love the pictograph – it looks like a map! When we got home she got her paints and brushes and went out into the back garden and started painting rocks saying she was making Indian paintings. Beautiful! No doubt the petroglyph was placed in that exact location for a specific reason. 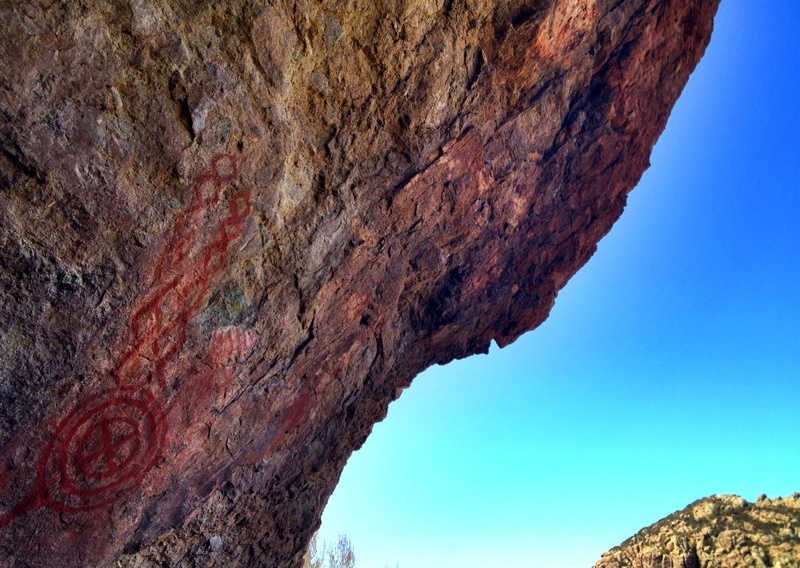 That rock art site was over painted in a the 1980’s by a “Nuevo” Chumash. The new painting destroyed the orgnal wrok which is lost forever. Thank you for that valuable information. It confirms my suspicion, which was that, although the red hue used is similar if not the same as real prehistoric Chumash pictographs, it appears far too thickly applied and intense in color, in other words new, to be an authentic painting. Good to get the inside word on that.